This page may take some time to download. If some photos do not appear, please click Refresh, that action oftentimes helps. 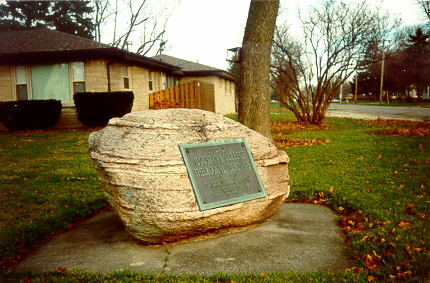 Boulders such as this are a common sight over much of northeastern Illinois. 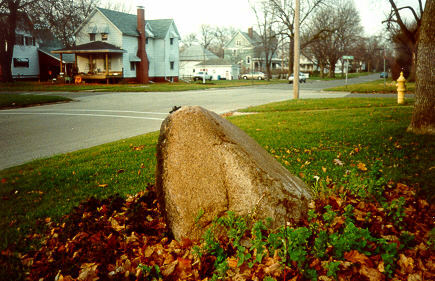 They are called Glacial Erratics. 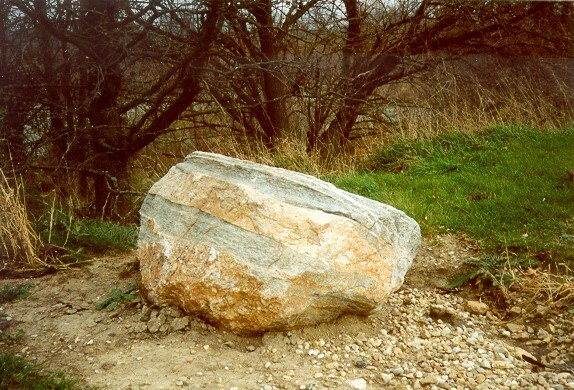 'Erratic' because they are different than the local bedrock. 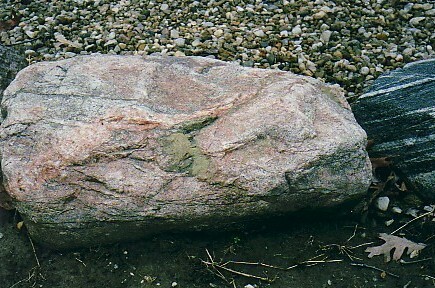 Many are specimens of Igneous or Metamorphic rock carried by the glaciers from exposures of the Canadian Shield. 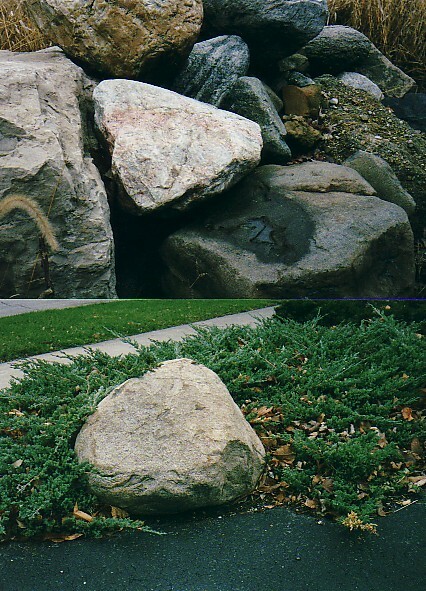 Some are Sedimentary rock gouged from what is now the floor of Lake Michigan. 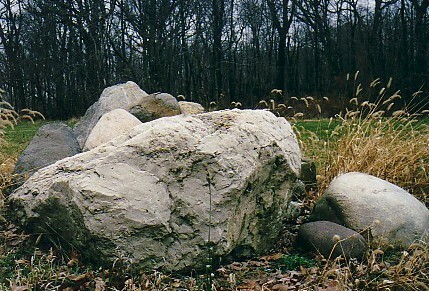 Erratics of various sizes are often used for landscaping. the fields due to the frost action throughout the winter. 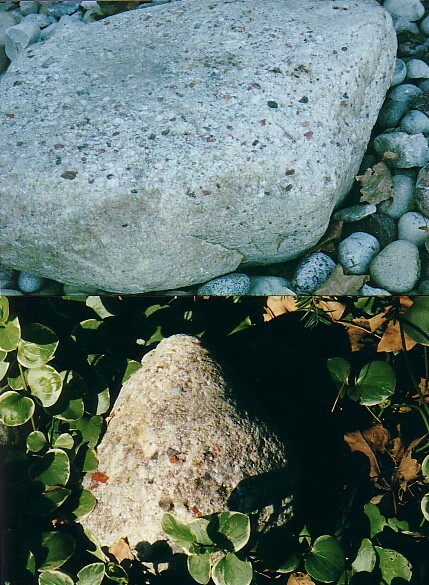 selection of all 3 rock classes. 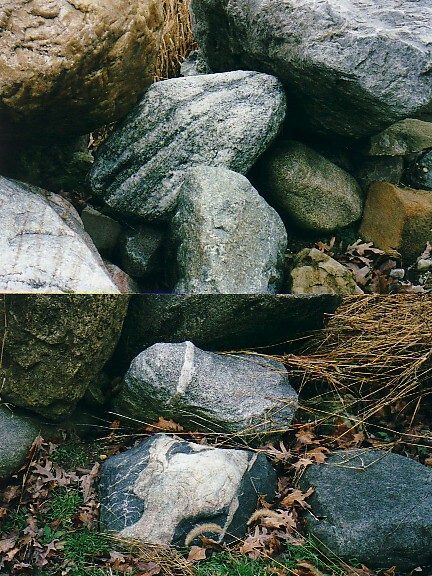 This erractic shows glacial scouring and flattening. 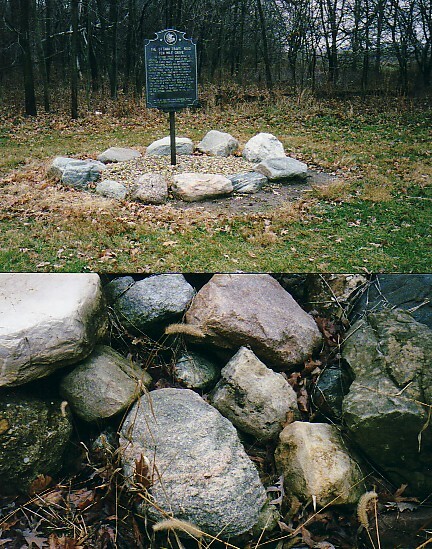 It was used as a hitching post -- note the ring in the top. 50 years ago it stood somewhat more vertically! Gravity and mass wasting do have an effect. keep traffic on the street. 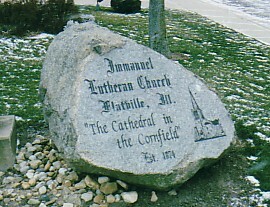 Some erratics are used as monuments. 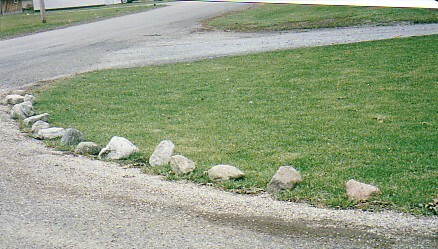 Creative use of an erratic in Flatville, Illinois. dollars . . . including transportation. 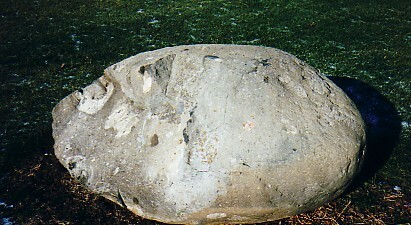 Quartzite Conglomerte with red pebbles of Jasper. 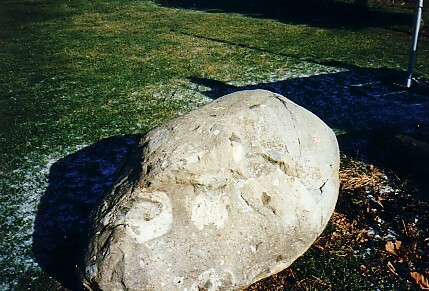 One of the more unusual erratics to be found. 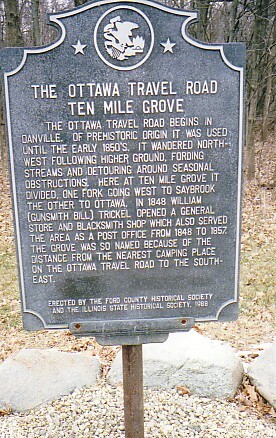 west of Paxton, Illinois along Illinois Route 9. 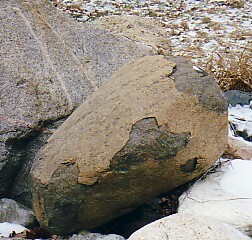 Chemical weathering causes exfoliation in a basic igneous erratic. 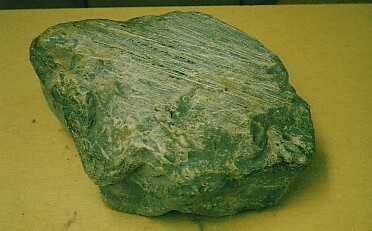 The dark ferro-magnesium minerals in this (Diabase?) weather more quickly than those in lighter acidic granites. 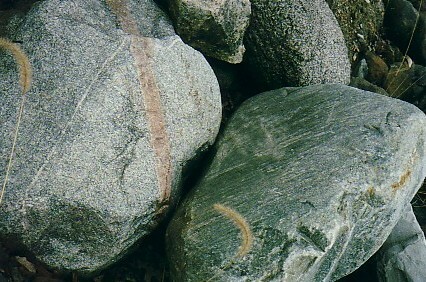 The majority of this rock is composed of augite and hornblende -- among the first minerals to crystallize from a cooling magma. 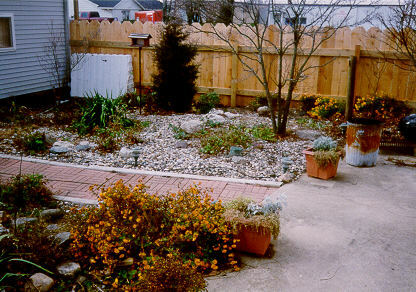 Exposed at the surface, they encounter conditions extremely unlike those in which they formed -- in an attempt to regain chemical 'balance' -- weathering occurs rapidly. 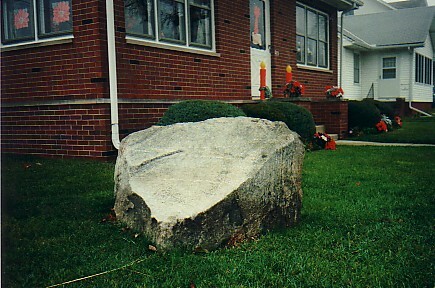 Without question, the strangest erratic I have ever observed. 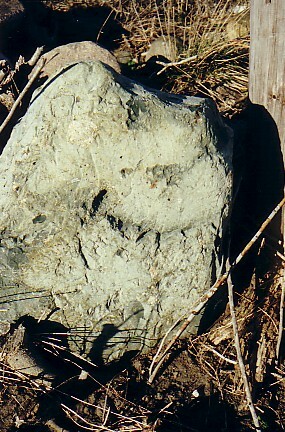 Is this a tillite -- or possibly an impact breccia? 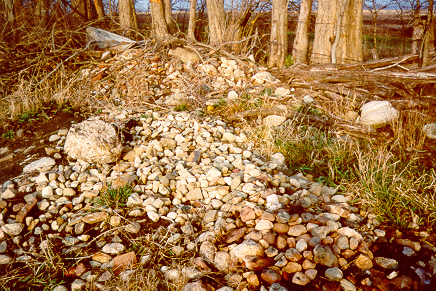 Canada was impacted by meteors in the geologic past -- it is difficult to imagine some of the resulting rock material has not been transported into Illinois.